Jeddah, Kingdom of Saudi Arabia, Saturday 12 January, 2019: The Saudi International powered by SBIA has finalised its headline player line-up for the inaugural tournament taking place in King Abdullah Economic City at Royal Greens Golf & Country Club, from 31st January to 3rd February 2019, announcing five more world-class players. Headlining the field, which already includes world nos. 1 and 3, Justin Rose and Dustin Johnson, will be three-time Major winner and world no. 2, Brooks Koepka. The 2018 PGA Tour Player of the Year, not only defended his U.S. Open title last summer, becoming the first player to do so in 29 years, but he went on to add to his Major haul at the PGA Championship. Fellow American, Bryson Dechambeau, (world no. 5), who boasts three PGA Tour victories in his last seven starts, completes the American contingent and will head to Saudi having opened his season with a seventh place finish at the Sentry Tournament of Champions last week. 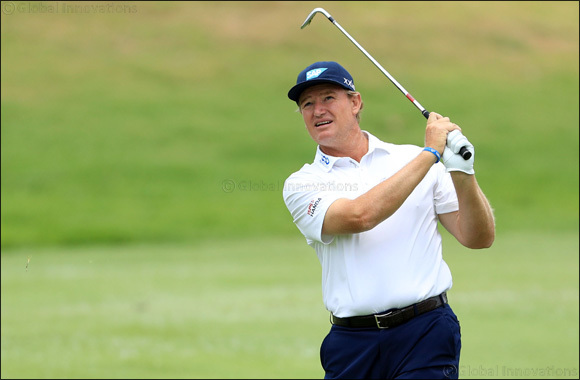 Joining them for the event, which features on the European Tour schedule for the first time, is four-time Major champion and 71-time worldwide winner, Ernie Els, who will make his second trip to King Abdullah Economic City, having been part of the Grand Opening in April 2018. Completing the list of golfing talent on show are European Ryder Cup heroes, Lee Westwood and Thorbjorn Olesen, who each played their part in Europe’s dramatic victory at Le Golf National, with Westwood, a veteran of 10 Ryder Cup matches as a player, serving as vice captain and debutant, Olesen, claiming a vital singles point against Jordan Spieth. The Tournament will take place within King Abdullah Economic City (KAEC) at Royal Greens Golf & Country Club, which lies along the spectacular Red Sea coastline. The Club boasts a premier championship golf course, a state-of-the-art clubhouse, a world-class practice facility and stunning residential and recreational facilities. Attracting many of the best players in the world, the Saudi International powered by SoftBank Investment Advisory will place a special focus on families, community, charity and junior development as the Kingdom looks to develop its golfing pedigree.